I have found, in my experience, that job should be seen by 1st house and not by 10th house. First when I had seen famous astrologer J.N. Bhasin suggesting the same, I rejected it outright without checking it practically. But with the time I have found that it is really true. Probably now a days job has so influencing affect on human life that can be seen from the 1st house. For a job in call center, we should see the influence of Mercury (communication/ call/ phone) and Saturn (night job) on lagna. One can also check the same on Dasamsa chart as well. If Mercury and Saturn are influencing lagna, we can say confidently that one is working for Call Center. I had quite a few charts for call center employees that I'll try to post in future. You should try it yourself and let me know your opinion. In a shocking article, Shri Avatar Krishen Kaul, has opined that Vedic Astrology is not really Vedic. Especially the Sidereal Zodiac that we use, is not Vedic one. Contrary to that Tropical Zodiac used by Western astrologers is the one used in Vedas and most of the Vedic astrology scriptures. He also states that due to use of incorrect Ayanamsa, we are celebrating all our festivals at wrongs times. All this is supported by the facts in the article. Have a look at the article and let me know your opinion. As per this article, Indian astrologers have predicted that an upcoming conjunction of Mars with Saturn could throw up a surprise winner in the football World Cup. Though in my opinion Saturn and Mars conjunction is very hard yoga to interpret. For example it can give birth to the biggest fraud and cheat at one side and biggest spiritual leader on other side. So In my opinion, we may see some expected team e.g. Brazil or Germany taking away the world cup. Let us wait and watch. "When lunar node is posited alongside Jupiter for a long time, there is hyperinflation." Alongside Jupiter = Close to Jupiter, not more than 14 degrees apart. Long time = More than 6 months. 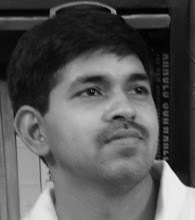 Author has presented many facts and figures to support his theory. Please check the detailed article here.